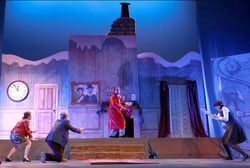 Based on the well-loved children’s book by Jonathan Emmett, The Santa Trap comes to King’s Hall, Ilkley for three fantastic performances this December. 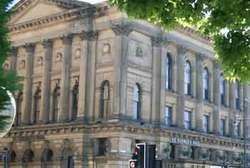 Bradford’s historic venue, St George’s Hall temporarily closes its doors at the end of March to undergo a £4 million transformation, after securing funding from both Heritage Lottery Fund (HLF) and the city’s local authority. Wow! What a Summer season we have at Bradford Theatres, with an array of Yorkshire exclusives, family entertainment and award-winning drama. The Ukulele Orchestra of Great Britain make a welcome return to Bradford and the 2016 Yorkshire Festival presents The Nile Project, music inspired by Yo-Yo Ma’s Silk Road Project. 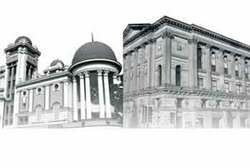 At King’s Hall in Ilkley we have an audience with Martin Kemp and Gyles Brandreth talks about the power of words. The very popular dinner events in the Alhambra’s Restaurant 1914 continue and Footloose bursts on to the Alhambra Theatre’s stage starring Bradford born Gareth Gates. We pride ourselves on customer service at Bradford Theatres. 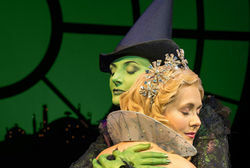 Part of this is having a website that's easy to browse and book tickets through. 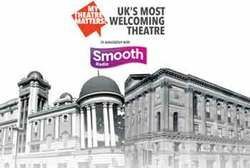 Two of Bradford’s prestigious venues seek public vote for Most Welcoming Theatre Award! 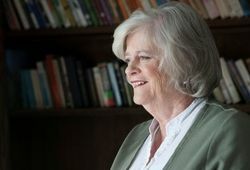 Controversial political powerhouse and former Strictly Come Dancing contestant Ann Widdecombe will be waltzing her way into King’s Hall, Ilkley on Friday 11 September for one night only. 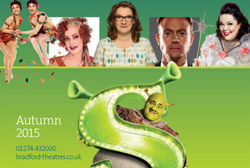 Announcing an amazing autumn at Bradford Theatres! 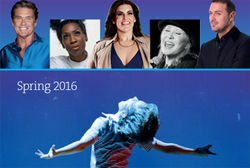 The autumn 2015 season at Bradford Theatres is a collection of the biggest and best shows touring the UK. Scamp Theatre will stage an extra performance of the their adaptation of Julia Donaldson and Axel Scheffler’s hugely popular children’s book Stick Man, at King’s Hall, Ilkley in June. 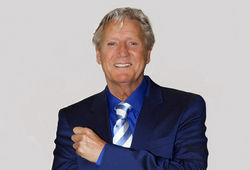 Popular singer and variety performer Joe Longthorne will be appearing at King’s Hall, Ilkley on Wednesday 25 March for one night only.